On 6/16/12, around 8:51 AM, a Eureka Police Department (EPD) officer on patrol observed a black 1997 Nissan Altima in the vicinity of ‘V” and 6th Streets. The officer recognized the Nissan’s driver, Jonas Randall Semore (age 39 of Eureka), from prior police contacts. (Semore is on Post Release Community Supervision for possession of a controlled substance. He is also a documented member of a local criminal street gang). When the officer made a u-turn to investigate, he discovered Semore had already accelerated quickly away in an obvious attempt to avoid contact with law enforcement. The officer spotted Semore driving north over the Slough Bridge on Highway 101 and drove after him. As the officer came over the Slough Bridge, he could no longer see Semore’s vehicle anywhere. The officer then noticed a large cloud of dark smoke and dust in the air to his right. It appeared Semore had made an abrupt high speed turn onto Cole Avenue from Highway 101. The officer was hailed by construction workers in the vicinity, who pointed him northbound on Jacobs Avenue. A short time later the officer observed the Nissan pulling into the Lazy J Trailer Park. The officer responded to the trailer park and located the now abandoned Nissan stopped in the park’s driveway. Responding officers checked the vicinity for Semore and his three passengers. Female passenger Rachel Lynn Squire (AKA Rachel Hardy, age 20 of Eureka) was located and detained near the trailer park’s laundry room. Semore and his male passenger, Aaron Joseph Aubrey (age 20 of Eureka), fled from officers on foot. Officers searched for Semore and Aubrey with the assistance of helpful citizens, who pointed out their direction of travel. Semore and Aubrey ran and jumped a fence into The Farm Store property. Aubrey was located and detained by officers at gunpoint on the east side of the business. 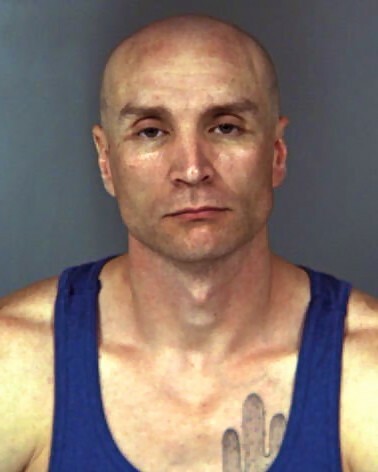 Semore had continued running across Highway 101 toward Humboldt Bay. Helpful customers at The Farm Store pointed officers in the right direction. Other responding officers saw Semore running along the railroad tracks. Semore was taken into custody at gunpoint a short time later. A small baggy of methamphetamine was located on his person. 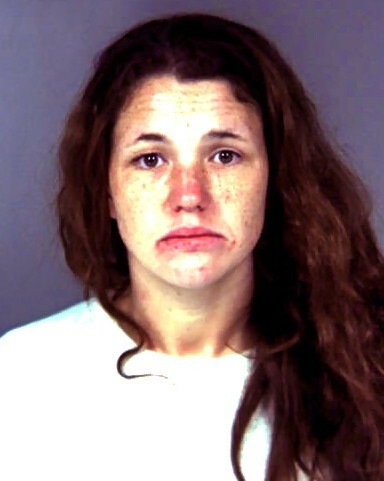 Semore’s fourth passenger, Laura Irene Triplett (age 24 of Eureka), was located walking northbound along Highway 101. Triplett was detained and transported back to the Semore’s vehicle with the others. During a search of Nissan, officers located a plastic baggie containing approximately 3.5 grams (1/8th ounce) of crystal methamphetamine under the passengers’ side seat. 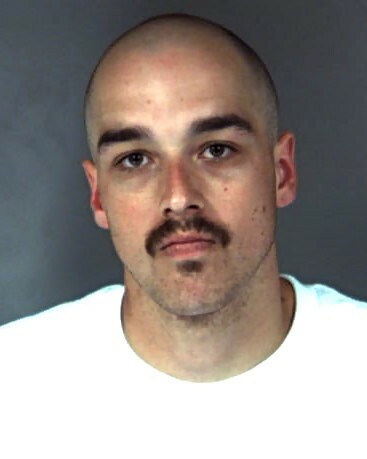 Aubrey is also a documented member of a local criminal street gang and he was on parole for possession of a controlled substance and on probation for resisting/obstructing a peace officer. All four suspects were arrested and transported to the Humboldt County Correctional Facility for booking. Jonas Semore was arrested and booked for possession of a controlled substance for sale, transportation of a controlled substance, resisting/obstructing/delaying officers, probation violation, parole violation, criminal conspiracy, and participation/furtherance of a criminal street gang. Semore’s driver’s license was also determined to be suspended and he was additionally booked for driving on a suspended license. Aaron Aubrey was arrested and booked for possession of a controlled substance for sale, transportation of a controlled substance, resisting/obstructing/delaying officers, probation violation, criminal conspiracy, and participation/furtherance of a criminal street gang. Laura Triplett was arrested and booked for possession of a controlled substance for sale, transportation of a controlled substance, and criminal conspiracy. Rachel Squires was arrested and booked for possession of a controlled substance for sale, transportation of a controlled substance, and criminal conspiracy. Additionally, correctional officers located a plastic bag containing approximately 159 more grams (5 ½ ounces or over ¼ lbs.) of crystal methamphetamine concealed in Squires’ underwear. The Eureka Police Department would like to extend its appreciation to those citizens who assisted officers in locating and apprehending these suspects.